Parking: Park in the Kokee State Park off Halemanu Dr. Follow Halemanu Dr to the Halemanu-Kokee trailhead. What to expect: Canyon Trail is a intermediate trail that ends with the Waipoo waterfall in Waimea Canyon. This hike is steep and can be dangerous when wet. 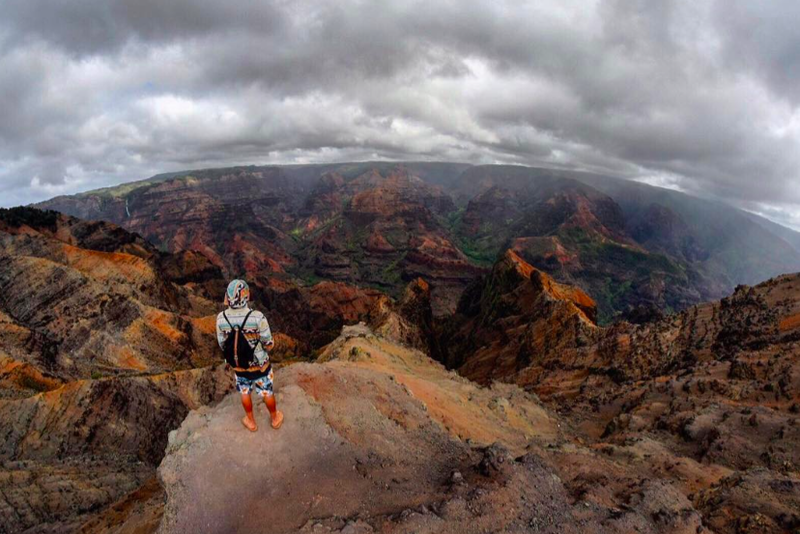 The views of Waimea Canyon are some of the wildest you can find in the Hawaiian islands. The hike will involve some steep uphill/downhill climbs, but nothing to difficult for the average hiker. It may be of help to get a map at the Kokee museum, there are multiple trails and it can get confusing.